Weekly Happenings: It’s hard to believe that we’re already a few days into March. Time just seems to be moving faster and faster. This past week contained a couple of nights where Abigail and I went out for a couple of events (a baby shower and a Relief Society activity), fun days at school for Joseph (it was Read Across America week), and a big milestone for Abigail (a change in sleeping arrangements). The Weekly Weather: It’s been a mix of warm, cool, and rainy (yesterday it rained pretty much all day). We’re supposed to get more of the same this next week as well. I know it’s not spring according to the calendar just yet, but I think spring has hit South Texas! What Paul’s Been Up To: He’s been busy with work, projects and exams for school, and Scouts. 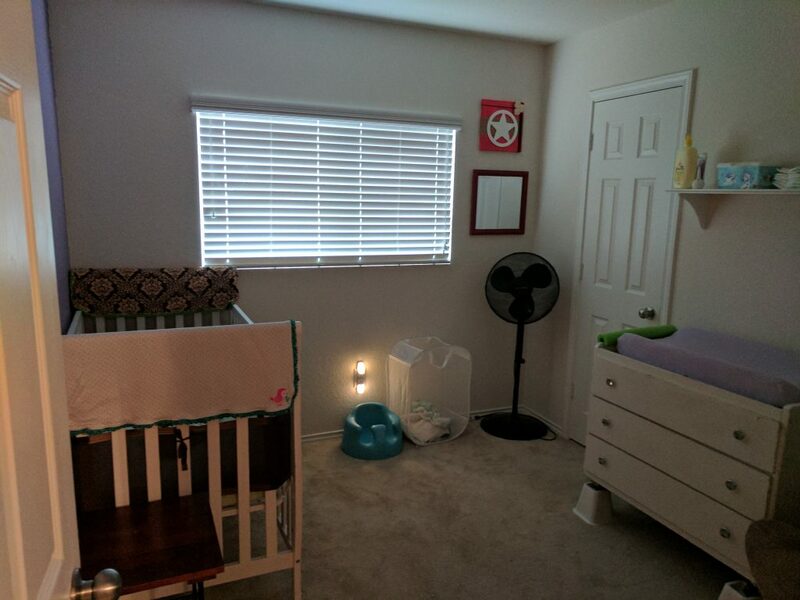 He also did most of the moving around of stuff as we moved Abigail from our room into hers. What Sarah’s Been Up To: As mentioned before, I attended a baby shower for a close friend and also attended the Relief Society birthday dinner for our ward (celebrating the anniversary of the organization of the Relief Society for our church). Abigail came along with me to both and did stellar. Other than that, it was a pretty average week for me. What Joseph’s Been Up To: As mentioned before, it was Read Across America week, which meant that there were several fun dress-up days that he got to do. The only one I got a picture of was “Nerd Day” because the result was pretty amusing. He also had a fun time going to Scouts with Paul since it was a fun night of playing video games for the boys. What Abigail’s Been Up To: As eluded to a couple of times already, we moved Abigail out of our room and into her own on Friday. Saturday, Paul hung some shelves and some decorations. It turned out pretty cute. She’s doing fine there (she’s really too young to know much of a difference yet, so I think it was a good thing for us to do at this point) and we have a monitor that has two receivers so that I can have one in our room and one downstairs. 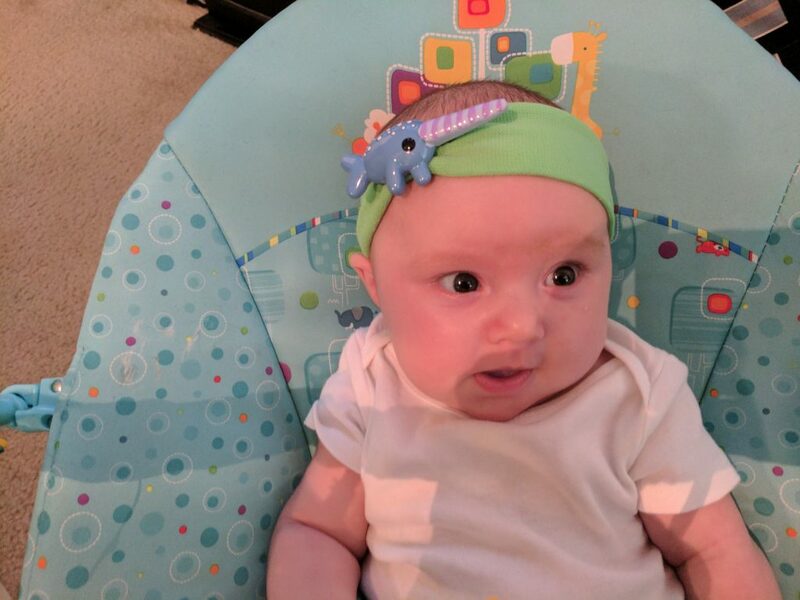 I have an awesome friend who sent me some stuff for Abigail, including this narwhal clip. I love that she gets my sense of humor! Here he is, dressed up for “Nerd Day” at school. I’m just glad we had it all in his closet already, since I totally forgot about the different dress-up days. All the days were made up of “what do we already have that will fit this day’s description?”, but I think this day yielded the best results. 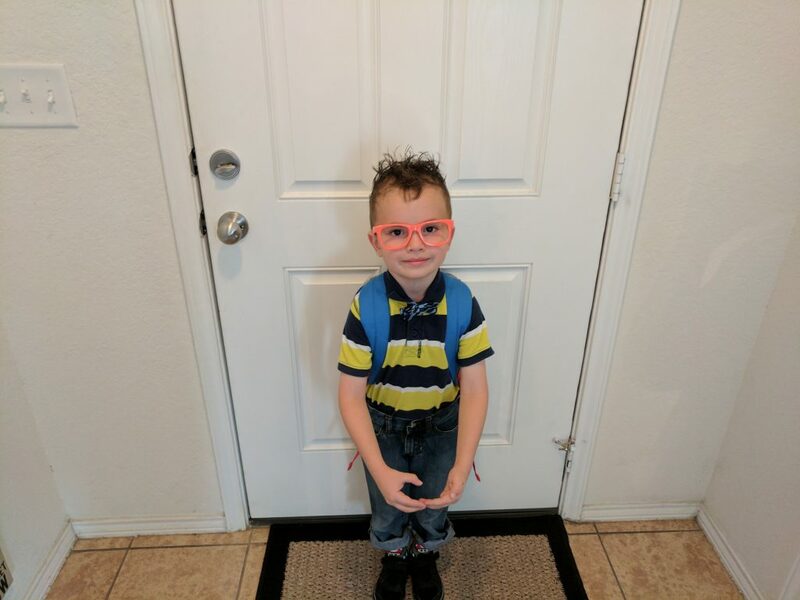 I made him glasses by popping the lenses out of a pair of cheap sunglasses he got from HEB (I knew I’d be able to pop them right back in, so he was fine with it as well). Houdini strikes again! 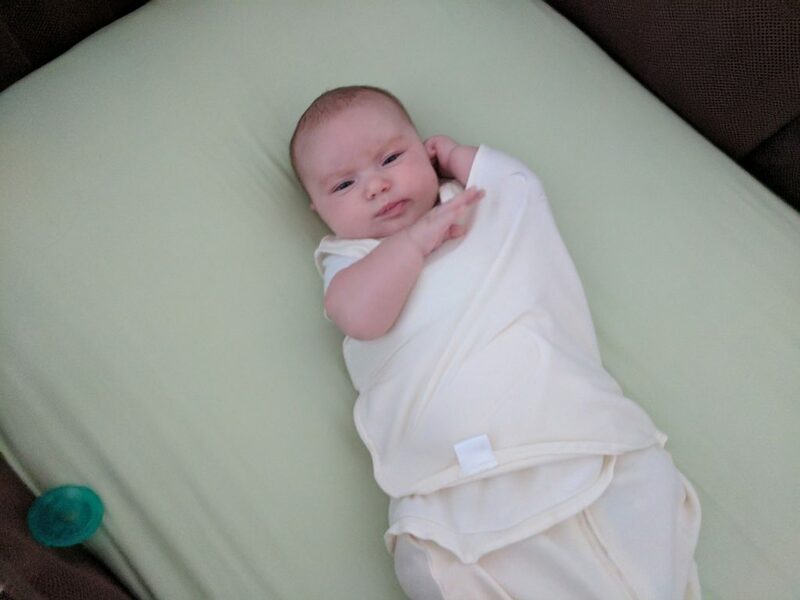 This swaddling blanket has Velcro on it, to make sure it stays tight around her, but she’s a very determined baby at times (and I may not have gotten it as tight as I usually do). 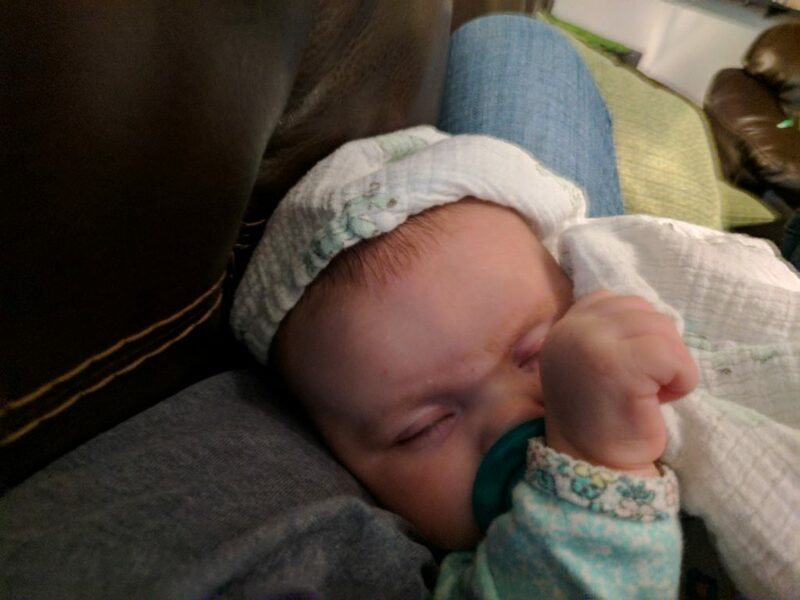 I would just leave her arms free, but she tends to punch herself in the face (or startle herself some other way) and wakes up mad. Sometimes one needs the binky, the blankie (it’s hard to tell, but she’s got a tight grip on it), AND the momma. 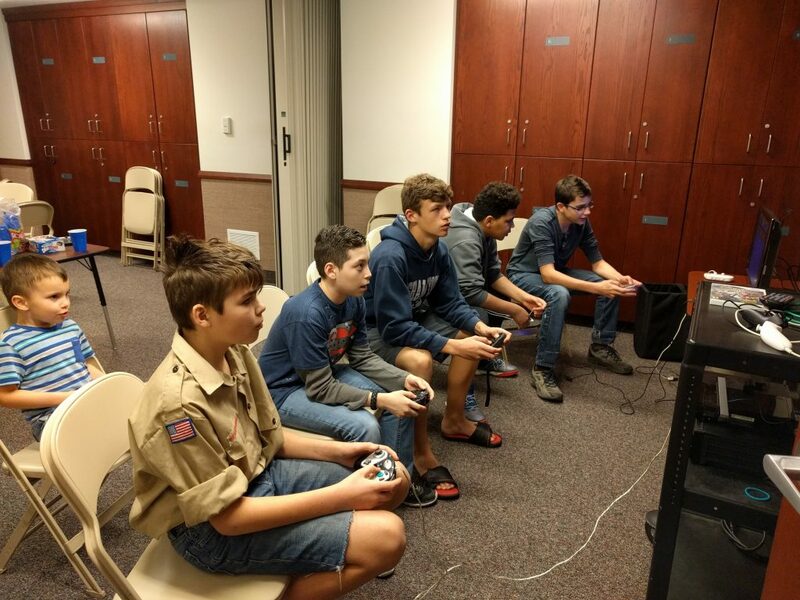 Video game fun with the Scouts. I love Joseph’s face in this one. 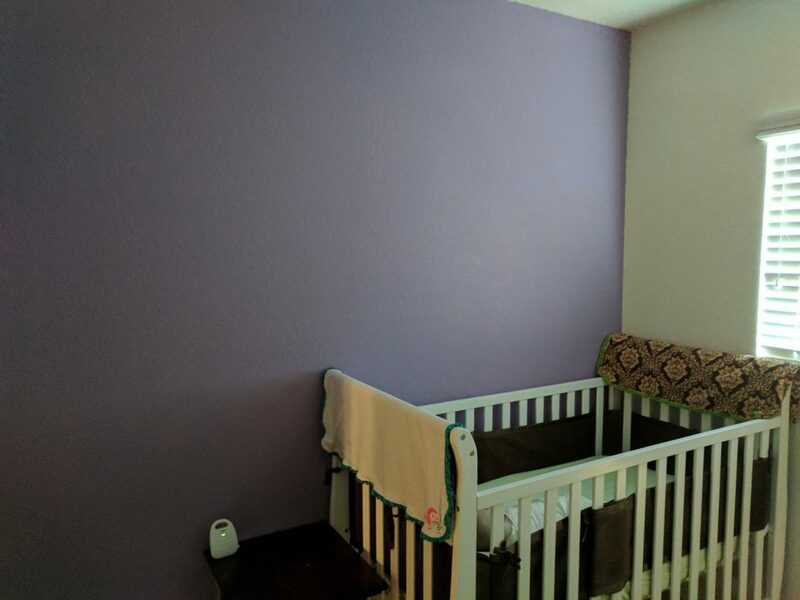 …and the rest of the room. 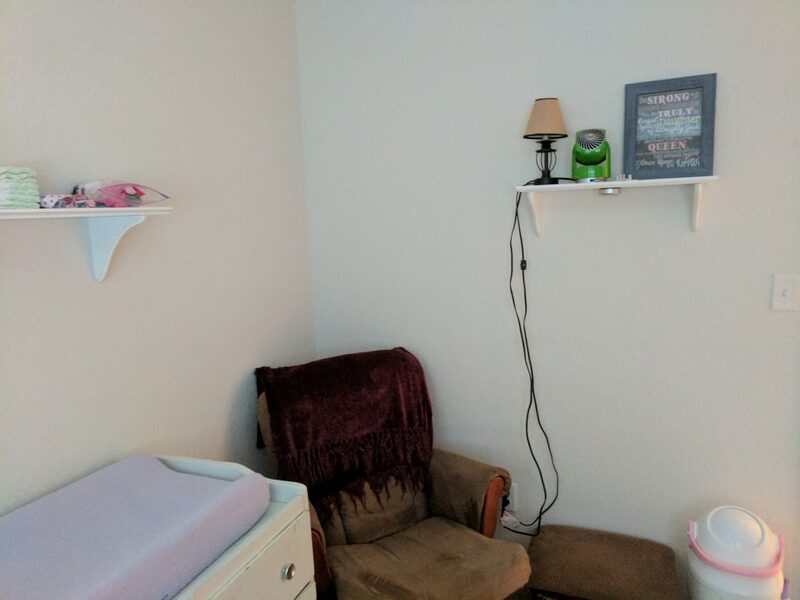 It seems like a nice, cozy space for her. 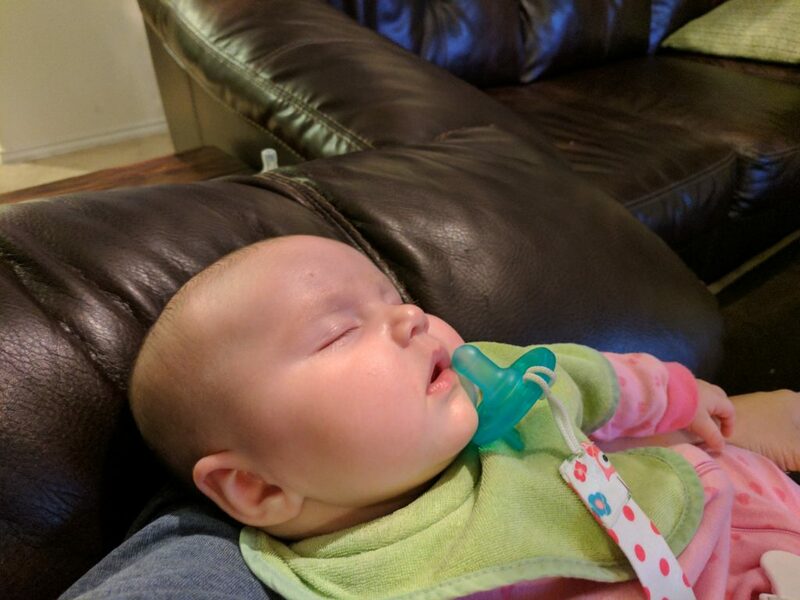 Sometimes, after feedings especially, she’ll just fall completely asleep on me. This, apparently, was one of those times.